Marinara sauce was a staple in my house growing up. There wasn't a Sunday morning that my mom didn't have a pot of sauce on the stove. She cooked her sauce for hours with meatballs or sausage in it. 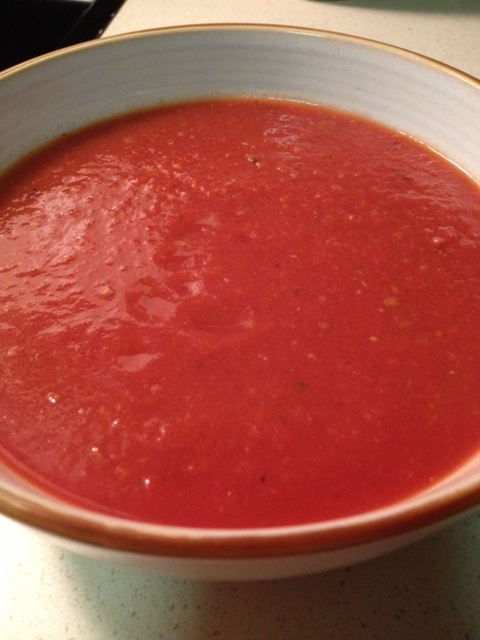 I have updated my mom's recipe to make it a little healthier and use it for everything that calls for sauce (pasta, homemade pizzas, turkey bolognese or any recipe that uses sauce). This is a very simple recipe that only cooks for 1/2 hour and is sweetened with carrots instead of sugar. I like to make a double batch and freeze in small containers to pull out when needed. Heat olive oil in a large pot, add the onion and garlic and saute until softened. Add the tomatoes, carrot, basil, salt and pepper. Bring to a boil then reduce heat and simmer for about 30 minutes. If it is too thick, you can thin it out with a little water. I like mine to be thick so I don't usually add much water, if any at all. Let cool. 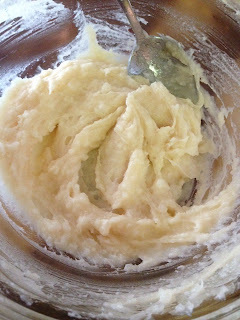 You can serve this as is and it would be a little chunky or you can use an immersion blender and smooth this a little. I've done it both ways and they are both good! I've always loved rainbow cookies. I haven't made them since before going gluten free. Although I have seen many recipes for gluten free rainbow cookies, I haven't seen one that didn't use refined sugar or almond paste. I wanted to avoid both these ingredients. I came up with this recipe that doesn't use either and is gluten, dairy, corn, soy and refined sugar free! The cookie and chocolate topping are both sweetened with maple syrup. 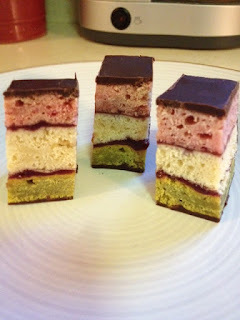 The raspberry filling I used is just fruit with no sugar added by Fiordifrutta. 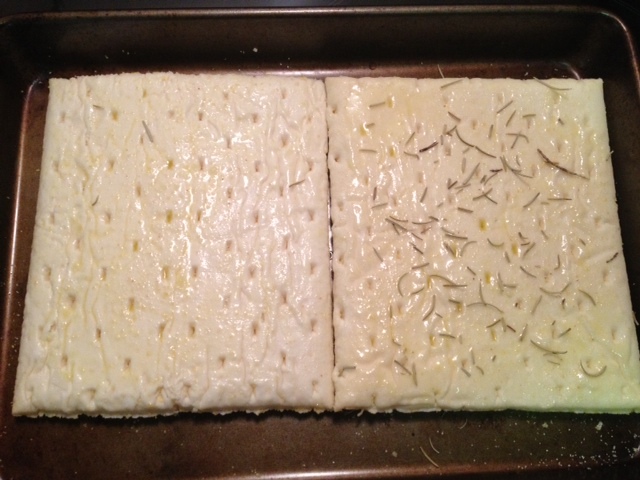 Preheat oven to 325 degrees and line three 8x8 pans with parchment paper and spray with coconut oil. Leave the parchment paper hanging over the sides of the pans so it is easy to remove the layers when done. In a large bowl mix together the flour, xanthan gum, baking powder and salt. 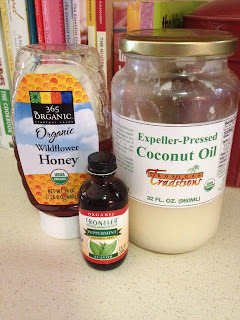 Add the eggs, maple syrup, coconut oil and almond extract. Stir until combined. Divide batter into three bowls. Color one pink, one green and leave the other as is. Spread batter evenly in pans and bake for approximately 15-18 minutes until toothpick comes out clean and edges are just golden. Let cool for about 10 minutes then remove green layer and place on wax paper, spread with preserves, top with white layer and spread with preserves. Top with pink layer. Make your chocolate coating. Pour chocolate onto top of layered cookies. Put in refrigerator until hardened. Flip over onto another piece of wax paper and pour chocolate onto the other side. 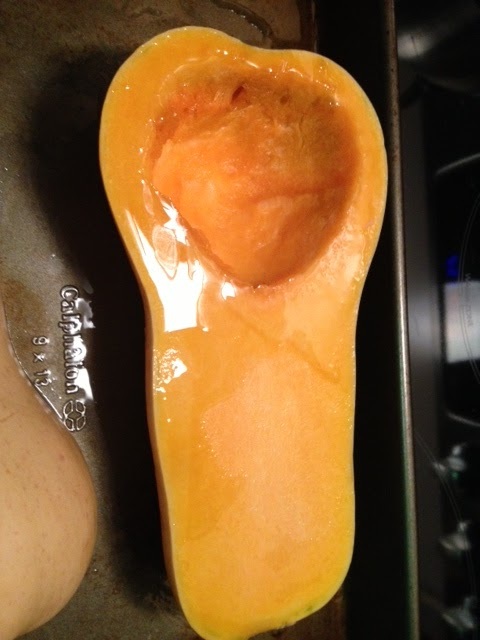 Put back in refrigerator to harden again. I usually leave overnight to really set. 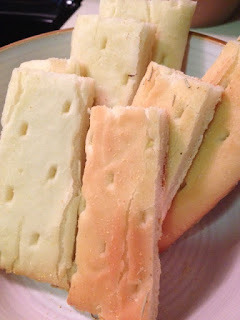 Once hardened, cut into strips then into one inch cookies. This recipe is one of my favorite recipes from The Earth Diet recipes. 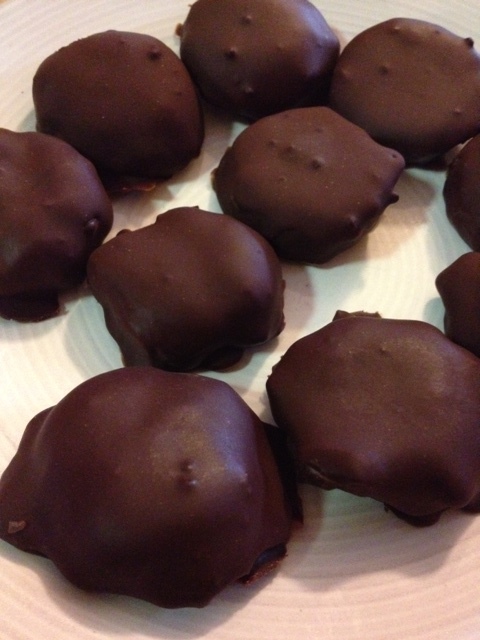 It is so simple and kids love them because they are like little balls of fudgy cake! Anytime I make them, they disappear quickly! My version has a little less cacao powder and I make them with the maple syrup option. I've never done these with honey. They come out amazing just like this, so I probably won't change a thing! See below for a vanilla version of these that are also awesome! Put the almond meal, cacao powder and maple syrup in a bowl. Start mixing together, if the mixture is too dry add water 1 tablespoon at a time until the mixture sticks together. If it gets a little too wet, add more almond meal. 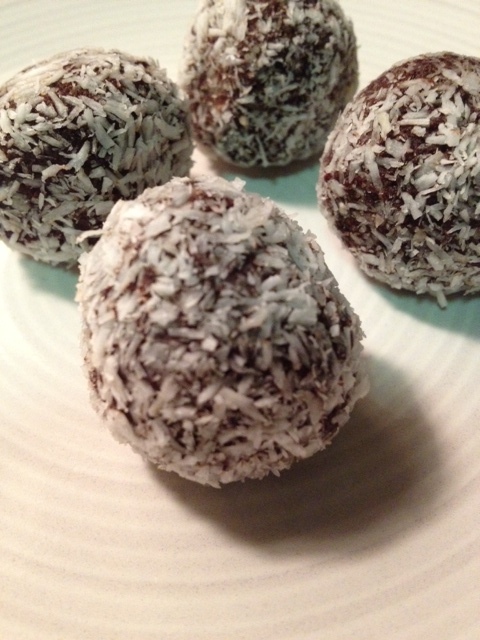 Roll into balls and roll into coconut flakes. Put the almond meal, maple syrup and vanilla in a bowl. Start mixing together, if the mixture is too dry add water 1 tablespoon at a time until the mixture sticks together. If it gets a little too wet, add more almond meal. Roll into balls and roll into coconut flakes. There is something about the weather getting colder that makes me want to have a pot of soup cooking on the stove. Onion soup is one of my favorites. I love pairing this soup with my potato pancakes as an alternative to the traditional French onion soup with bread on top. This recipe was adapted from this recipe by Jaime Oliver. Put the butter and olive oil in a heavy pot on medium low. Add the garlic and stir. Do not let the garlic brown. Add the onions, shallots and leeks. Season with salt and pepper. Place a lid on the pan, leaving it slightly off and cook for 45 minutes stirring occasionally. 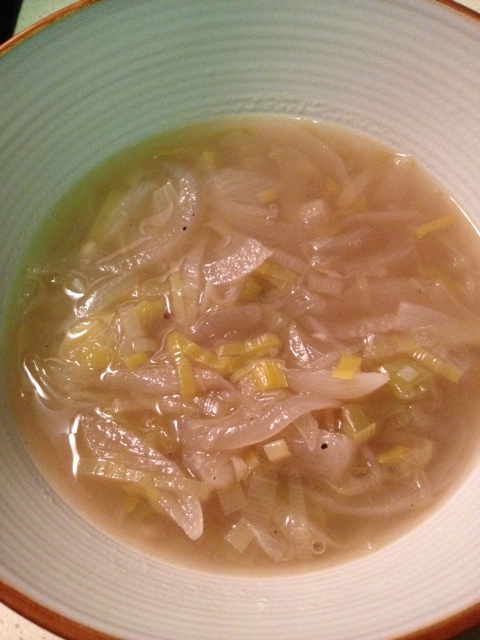 Once the onions and leeks are softened add the stock. Bring to a boil, turn heat down and simmer for 20 minutes. Anytime we go out to a restaurant for an occasion, bread is always on the table. I can usually just pass and it doesn't bother me, but my daughter always says "is it gluten free mommy??". It never is, and I feel terrible. So, now I bring my own when I know we are going to be in that situation. Usually if I have a loaf of Everybody Eats Baguettes on hand I cut one in half and make half to bring with us. Today I ran out of those and didn't have much around except some Kinnikinnick pizza crusts so I came up with this easy idea and it tastes great, kind of like a focaccia bread. Preheat oven to 375 degrees. Place pizza crusts on a baking sheet and brush with olive oil. Sprinkle with seasonings of choice. 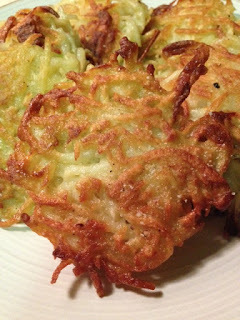 I want to post my potato pancake recipe for all of you who celebrate Hanukkah. I hope you enjoy these and have a Happy Hanukkah! Even if you don't celebrate Hanukkah, they are good for any occasion. In a bowl combine potatoes and onion. 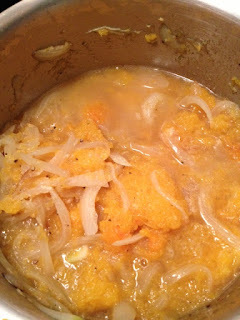 Beat egg in a separate small bowl and add to potatoes and onion. Add flour, nutmeg, salt and pepper. Mix until combined. Mixture should be wet, but hold together to form a pancake. If not add more flour a tablespoon at a time until it starts to hold together. Heat a cast iron skillet on medium. Add olive oil. Scoop 1/4 cup at a time into your hands and press into a flat pancake. Cook for about 5 minutes per side until lightly browned. Remove to a cloth lined dish to absorb extra oil. Sprinkle with Himalayan salt. I love making soup in the winter. Nothing warms me up more on a cold day than a nice hot bowl of soup for lunch or dinner. 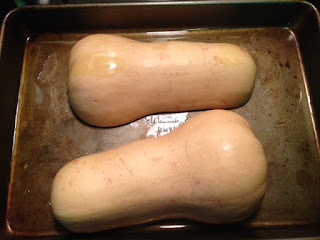 The other day I stopped at a local health food store and bought a cup of butternut squash soup. It was delicious and I knew I had to try and recreate it. Here is my version. Hope you enjoy! Preheat oven to 375 degrees. Cut squash lengthwise and place cut side down on a lightly oiled baking sheet and roast in oven for 1 hour. 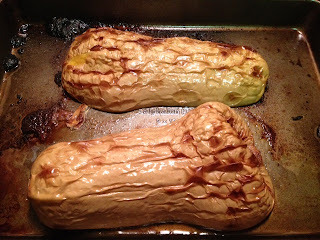 Remove from oven and scoop out of skins and set aside. Heat olive oil in a pot and add onions, garlic, ginger, salt and pepper. 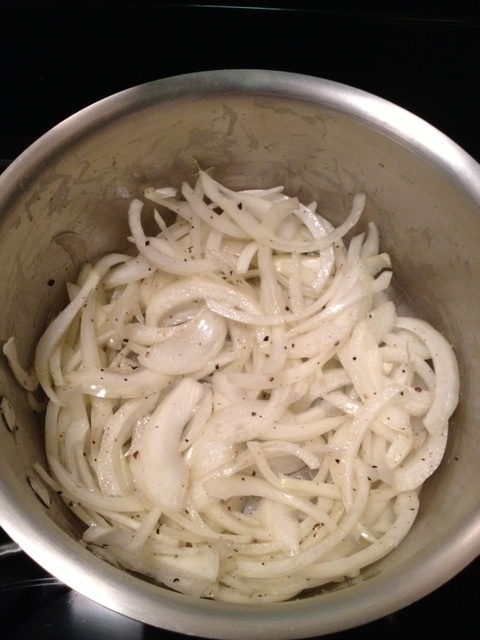 Saute unil onions are softened. 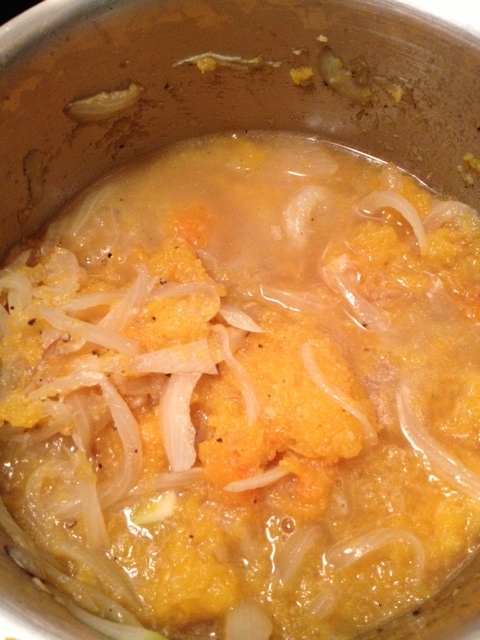 Add Squash and chicken broth and bring to a boil. Reduce heat, cover and simmer for 20 minutes. Remove from heat. 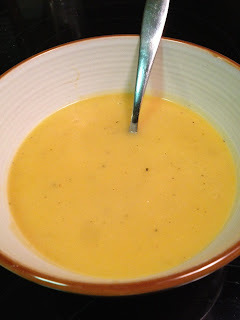 Using an immersion blender, blend soup in pot until smooth and creamy. 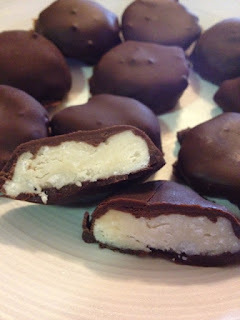 Peppermint patties were always one my favorite candies. I use to love them in the freezer. Chocolate mints were always a holiday tradition for my family. There were always thin mints on the table after dinner on a holiday. Now, I have a version that is much healthier but still satisfies my craving for chocolate mints especially around this time of the year. This recipe was adapted from this recipe from Elana's Pantry. One Serving of my chocolate recipe found here. In a bowl mix together the coconut oil, honey and peppermint oil until smooth. Put in the freezer for a few minutes until firm enough to scoop out with a cookie scoop. Scoop onto parchment lined dish and push down into a flattened disc shape. Place back in freezer until hardened. Make your chocolate recipe. Pour the chocolate into a bow. Take out the patties from the freezer and dip into the chocolate. 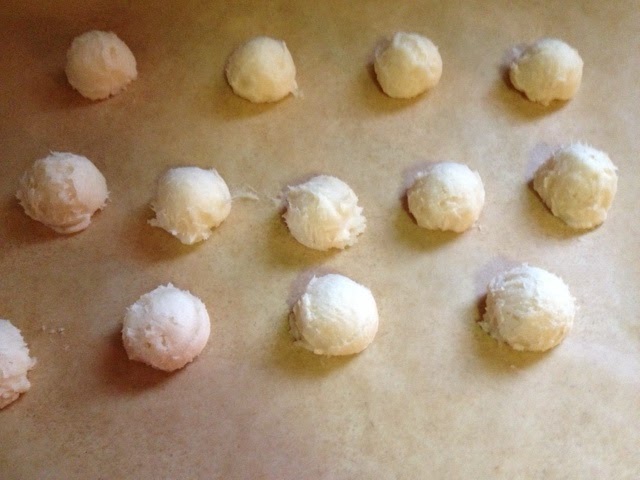 Place back onto the parchment and back into the freezer to harden. I like to do this step twice, I like a thicker chocolate coating on the patties. 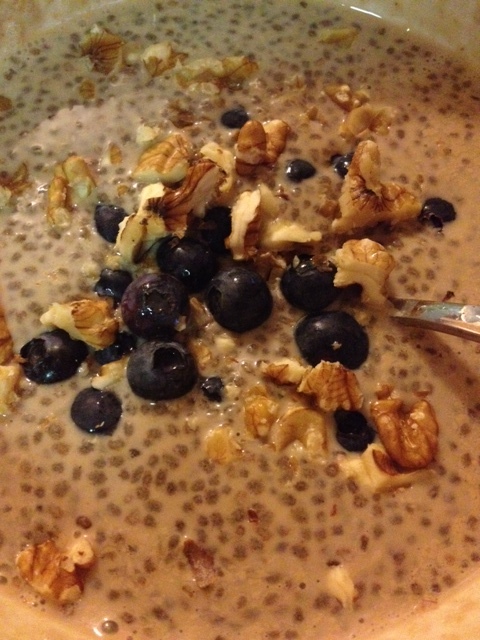 Here is a video on a great recipe using Chia Seeds from Ellen Nalaboff of Ellen's Fitness. Ellen is a Holistic Nutrition and Life Coach, a Board Certified Holisitic Health Counselor, a Primordial Sound Meditation Teacher, a Power Pilates Certified Instructor and a Spin Instructor.